Porsche has announced Black Edition variants of the 911 and Boxster. Both get – you guessed it – black paintwork and black interior, along with various unique extras. 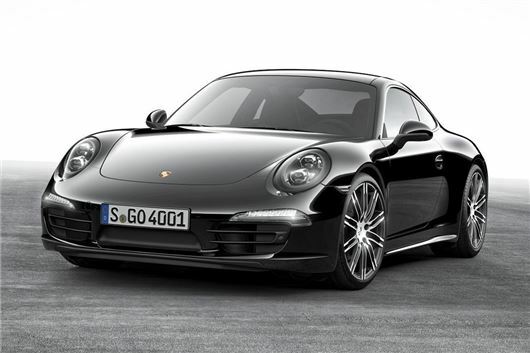 The 911 Black Edition models are based on Carrera and Carrera 4 in either coupe or cabriolet body styles. Prices start at £75,074 for the Carrera Black Edition Coupe. All get black leather upholstery. The 911 Black Edition rides on ‘911 Turbo’ style alloy wheels and gets LED headlights, mobile telephone model, a reversing camera, front and rear parking sensors and BOSE audio as standard, in addition to the normal Carrera spec. This includes navigation and a seven-inch touchscreen. The Boxster Black Edition is has black paint and black part-leather upholstery, plus it rides on 20-inch Carrera Classic wheels. It gets xenon lights, two-zone climate control, heated seats and Sound Package Plus, on top of standard Boxster equipment. This includes a seven-inch touch screen and an electronically folding roof with remote operation.